A basic commercial property insurance policy may be all you need, although the types of coverage can vary between different insurance companies. As an independent agent, Lewis Insurance Associates can help you determine the type of insurance policy and range of coverage that is best for your business. For a full list of coverage available, or to learn more about this product, contact us today. Do you own a commercial building? If so, do you have enough commercial property insurance to cover replacement costs? Although cost estimators are available, we recommend that you secure an appraisal from a third party to accurately determine the current replacement cost of your building. 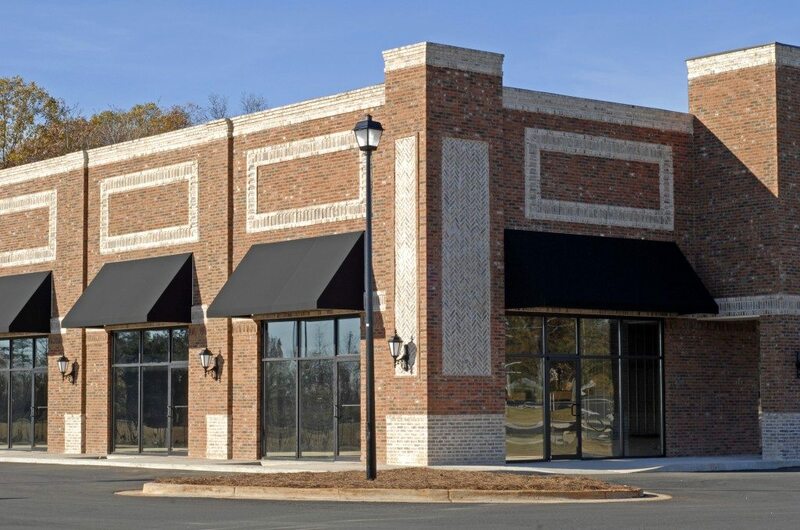 Give Lewis Insurance Associates a call today at 540-659-2121 , and we’ll help you determine if you have enough commercial property insurance for your business. Most commercial property policies exclude flood as a covered cause of loss. A separate policy must be purchased to protect you from resulting damage. Check your current property insurance policy to be sure you are covered. If you’re unsure, just ask Lewis Insurance to review your coverage, and we’ll help you find the best solution. This coverage reimburses a business owner for lost profits and fixed expenses, including payroll, during the time that a business is closed. It applies while the premises are being restored because of damage from an event, such as a fire. Business income insurance may also cover financial losses that occur if civil authorities limit customer access to your neighborhood or business after a disaster. Lewis Insurance Associates strongly recommends that all businesses acquire this coverage. The inland marine policy or floater coverage is designed to give specific coverage for items that may have little or no coverage available on other policies. Your tools and equipment can be covered such as hand and power tools, backhoes, generators, loader and other off-road mobile equipment as most of these items move from jobsite to jobsite and back to the contractor’s yard and in between. Whether small tools are in a vehicle or equipment is parked on the jobsite, these items are subject to theft and vandalism. Commercial automobile policies provide NO COVERAGE for theft of tools. Tools and equipment can be insured on a replacement basis or the actual cash value (replacement value minus depreciation). We understand the business insurance needs of our customers. The right coverage for you is unique – call us at 540-659-2121 or contact us today to find out how to protect your business and your future with the right insurance. Check out or Referral Program! DISCLAIMER: The information on the site is not intended as legal advice, but is provided for general, public information. Fact, circumstances, and the application of particular state laws will differ in individual circumstances.